Dylan Ferrandis goes 2-1-2 to win the overall in Houston!! 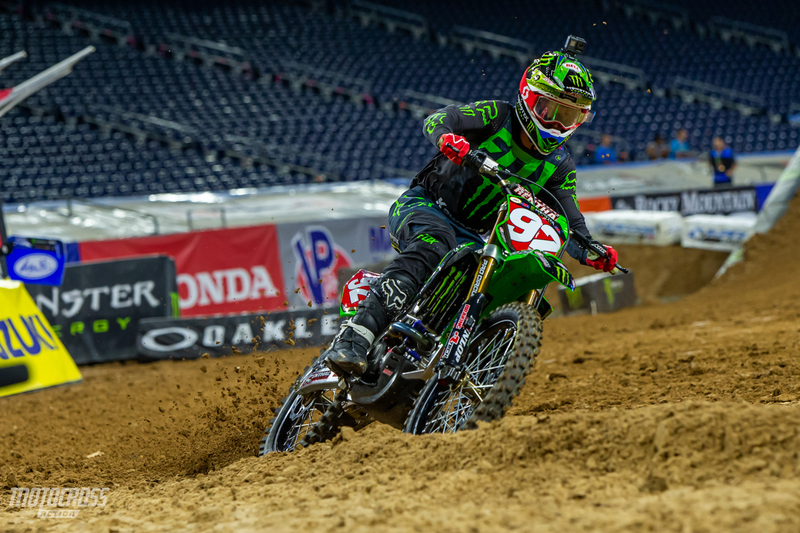 The 2019 Houston Supercross was a very exciting race for the 250 West class. 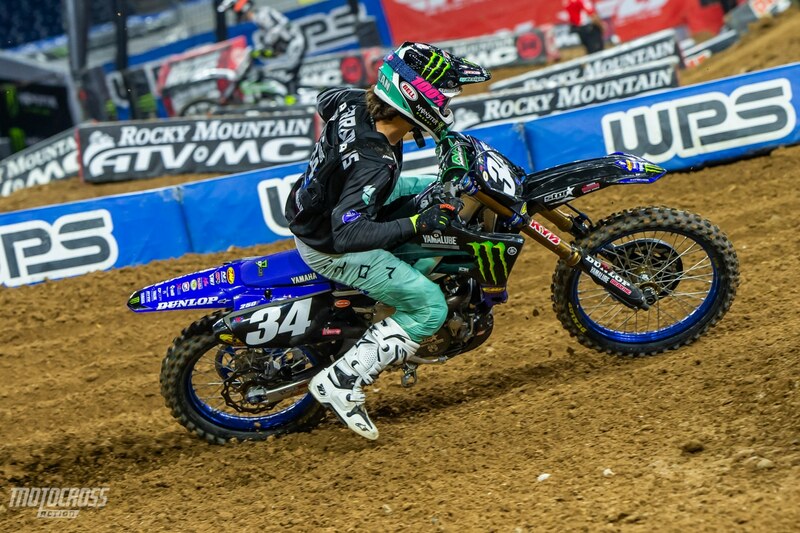 Adam Cianciarulo won the first 250 main event, but mistakes and crashes in the second and third main events set him back. Dylan Ferrandis rode fast all night and was able to take the overall win with consistent 2-1-2 finishes. Dylan Ferrandis rode fast and consistent to take the win. 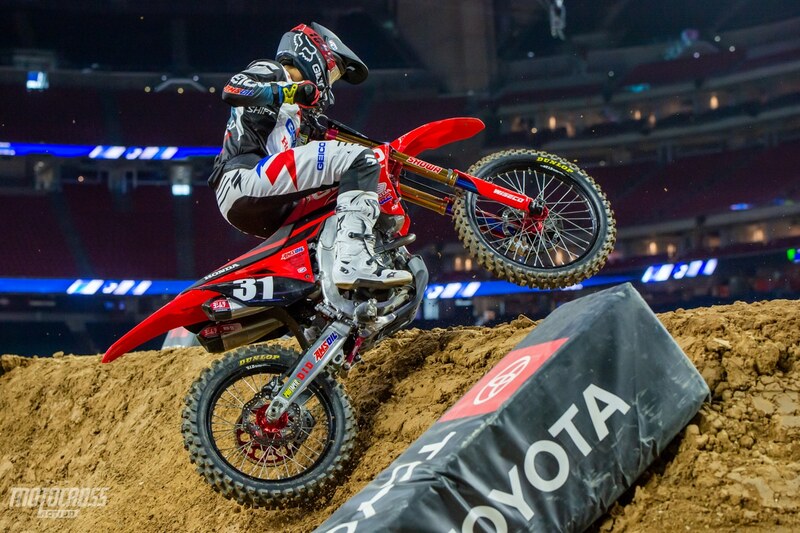 Dylan Ferrandis places second in the third main event of the night and wins the overall in Houston. In the third main event it was the two Star Racing Yamaha riders Dylan Ferrandis and Colt Nichols who got out front. With Colt Nichols leading, Dylan Ferrandis knew that he didn’t have to pass his teammate to win the overall for the night. Adam Cianciarulo had more troubles in the second race, he had a bad start and then Michael Mosiman went down and Adam crashed right into him in the whoop section. Adam Cianciarulo was able to get up and charge through the pack to finish third. 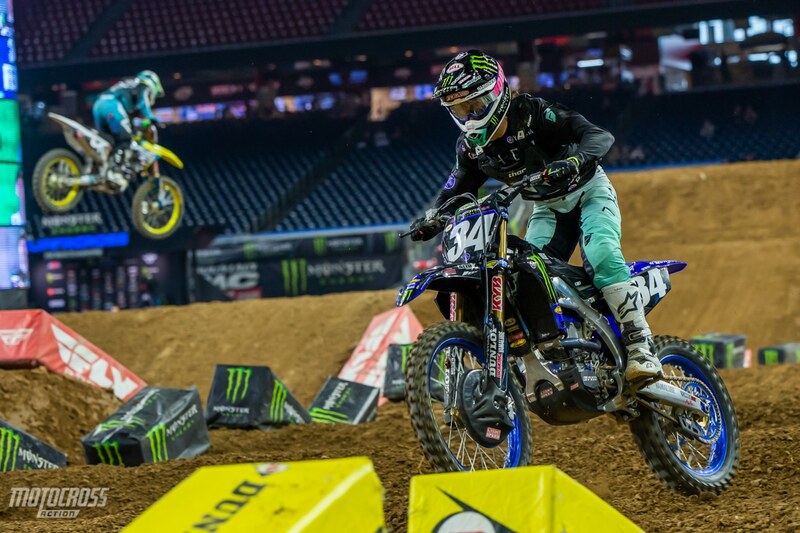 Colt Nichols wins 250 main event 3 in Houston. Dylan Ferrandis wins 250 main event 2. 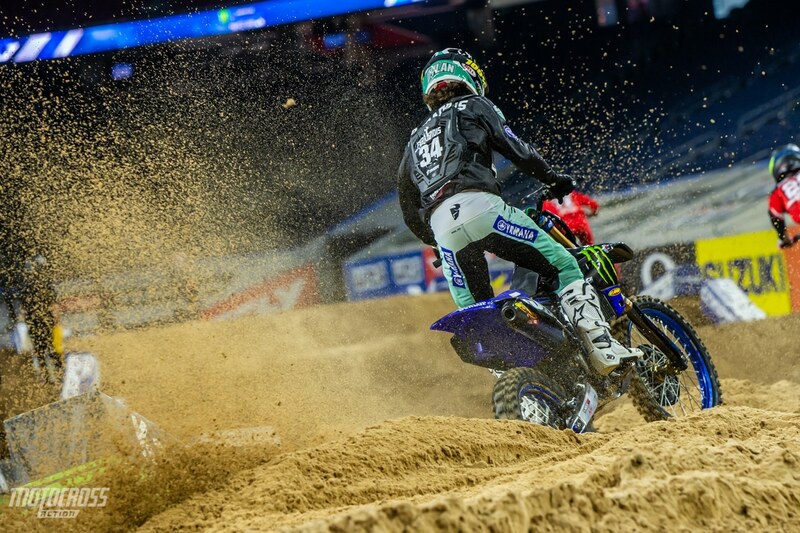 The second 250 main event was another exciting race full of intense crashes and battles. Adam Cianciarulo grabbed the holeshot but then he shot off the track. Chris Blose then took over the lead for a short while until the Frenchman Dylan Ferrandis pushed Blose into the tough blocks, knocking him down. Adam Cianciarulo was in the middle of the pack fighting his way forward before he collided with Sean Cantrell mid-air and went down. Adam’s bike was run over and Adam was hit as well. He was lucky to be ok and he got up and salvaged a 10th place finish. Adam Cianciarulo had a rough go in 250 main event 2, he had a bad start, he went off the track and then he went down which dropped him way back. 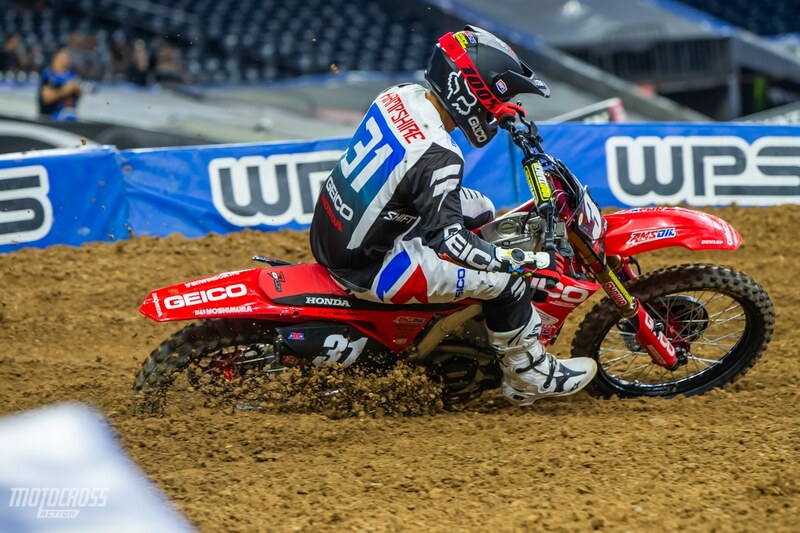 Rj Hampshire rode a solid race to finish second in 250 main event 2. 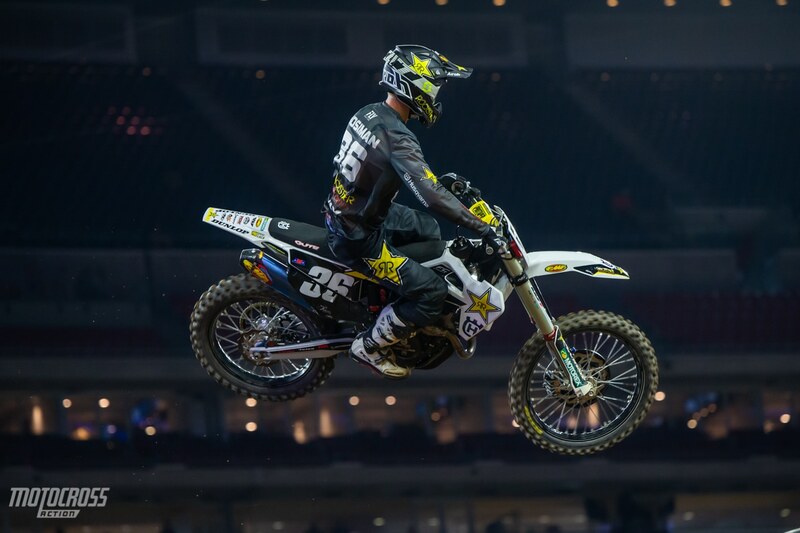 Adam Cianciarulo wins the first 250 main event in Houston. 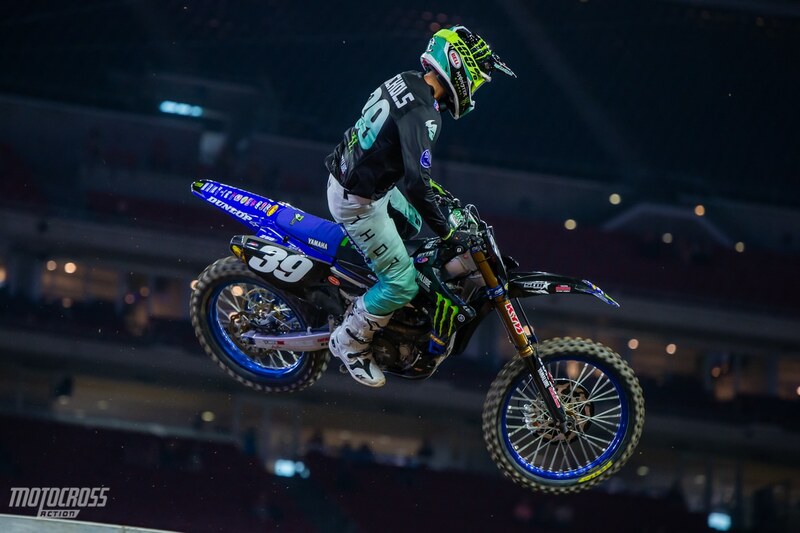 Coming into Houston, Adam Cianciarulo held a twelve point lead over the Frenchman Dylan Ferrandis. 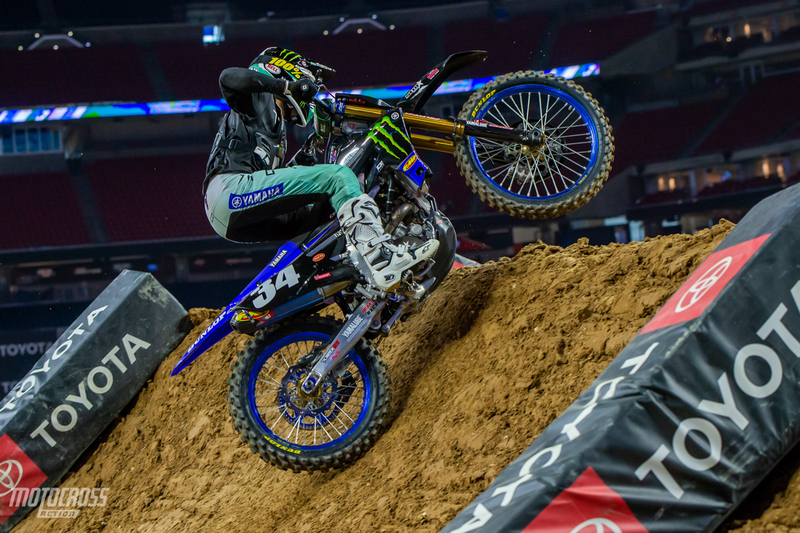 In the first main event it was Cameron McAdoo who grabbed the holeshot with Adam Cianciarulo in second. But McAdoo’s lead was short lived as he jumped onto a tough block and went down. 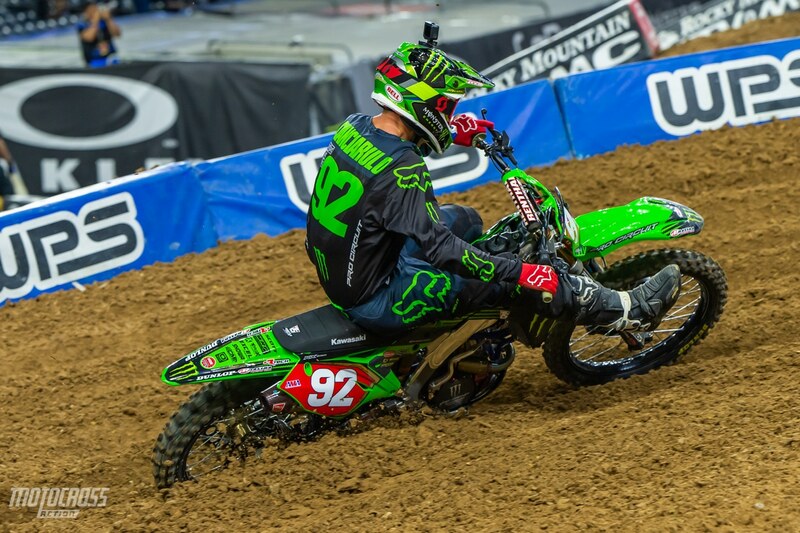 Adam Cianciarulo then inherited the lead and never looked back. Rj Hampshire and Jimmy Decotis battled for second at the beginning of the race while Dylan Ferrandis was buried back in 8th on the first lap. Dylan Ferrandis fought his way through the pack to pass Decotis and Hampshire in the final laps and finish second, while Michael Mosiman also put on a hard charge. He held off Colt Nichols and caught up to Rj Hampshire on the last lap to finish 4th. Dylan Ferrandis fought through the pack to finish second. Rj Hampshire ran second for most of the race, but he wasn’t able to hold off a hard charging Dylan Ferrandis in the final laps. Michael Mosiman rode solid and made some passes to finish fourth in the first main event.